Avalon has become one of my favorite places to visit in Detroit. It is a great meeting place with a rustic, but welcoming atmosphere. They have the best brewed coffee. The Latte is the creamiest you will find in Mid Town Detroit. Not only is it smooth and creamy, but its bold flavor paired with its creamy texture offers a perfect balance and finish. Now, I am not typically one for iced coffee, but Oh My Goodness is their’s good? Yes!!! It has a unique velvety texture that makes for an enjoyable treat on a hot summer day. While I must admit that initially I went there for the coffee, their organic baked goods are amazing! The Sea Salt Chocolate Chip Cookie is completely Insane! Other favorites are the, Cranny Granny Muffin, Brioche, Brownie, Peanut butter and the Molasses Cookies. Again, I love the rustic atmosphere and the personable service is unique. 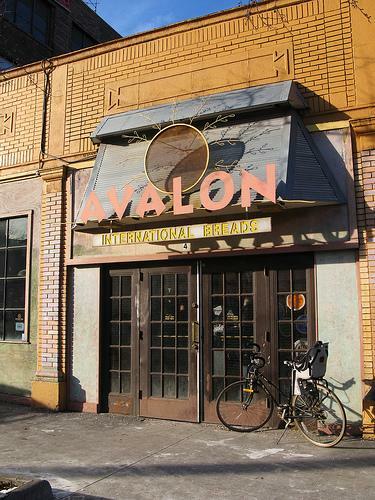 Avalon International Breads is a staple in Detroit’s Mid-Town and is a favorite among many. Categories: Uncategorized | Tags: Avalon Bakery, bread, cappuccino, coffee, cookies, latte, Mid Town Detroit, organic, tea | Permalink.